I read this article and found it very interesting, thought it might be something for you. The article is called What’s new in employment law? 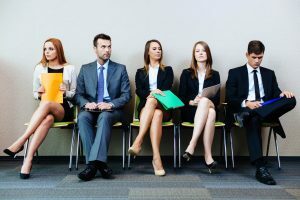 and is located at https://www.rocketlawyer.co.uk/blog/whats-new-in-employment-law/. There are a number of new pieces of employment law legislation due to come into force in the coming months and a number of important rulings employers need to be aware of. The standard adult rate (workers aged 21 and over) is £6.95. The National Living Wage remains unchanged, as do the statutory maternity, paternity, adoption and shared parental pay rates and statutory sick pay rate. Each parent earns at least 16 hours at the national minimum wage, but less than £100,000 per year. Retail workers are expected to be given the right to object to working more than their normal hours on a Sunday. This right to object will apply to all shop workers. Workers in large shops will have to give less notice to their employers if they want to opt out of Sunday working altogether, i.e. 1 month as opposed to the previous 3 months. Employers will have to provide “written notice” to shop workers about their new rights and let them know where they’re able to find advice. Failure to do so will mean that the notice period for those wishing to opt out of Sunday working will fall from one month to just 7 days for large shops and from 3 months to 1 month for small stores. The Employment Tribunal (‘ET’) will be able to award the worker up to 4 weeks’ pay in compensation. HMRC has published the first draft of regulations implementing this levy. The regulations are expected to be introduced imminently and state that a sum equal to 0.5% of the employer’s pay bill will need to be paid by all large employers to fund apprenticeship training and assessment nationally. Apprentices must also make up at least 2.3% of the total workforce of large public sector bodies. At the end of this year or the beginning of next, closure notices could be served on employers suspected of employing foreign workers illegally. This would mean the employer’s premises could not be accessed for a maximum of 48 hours, with the option to extend this under a court order, which prohibits or restricts access to the employer’s property for up to 12 months. According to guidance, this change is expected to come into effect in October 2016. New rules on public sector exit payments are expected to take effect over the new few months. They state that any employee leaving a role in the public sector and earning £80,000 or more is required to repay any exit payment made to them on a sliding scale if they return to any public sector role within 12 months of leaving the previous role. The amount of any public sector exit payment is now capped at £95,000. These were due to come into effect 1 October 2016, but are now set to be introduced in April 2017. Where employees fraudulently take sick leave, they are in fundamental breach of their employment contract by undermining the implied term of trust and confidence. As this issue is a misconduct issue, it must be dealt with through the employer’s disciplinary process. There must be reasonable grounds for dismissal following a reasonable and sufficiently thorough investigation. The Employment Appeal Tribunal (EAT) has ruled that it is not discriminatory for an employer to stop making deductions from an employee’s salary for childcare vouchers during maternity leave. The EAT ruled in this case that a reasonable adjustment could mean employing a disabled employee in a more junior role than that employee had previously held, whilst paying them their previous higher wage indefinitely. This will not always be reasonable and will depend on the facts in each case, but is an important ruling nonetheless. This case relates to the duty to make reasonable adjustments for disabled workers and in particular, the hours worked by the disabled worker. Carreras claimed that although not expressly stated, there was an expectation by the employer that the employee work late, which put him at a disadvantage due to injuries he had sustained after a serious accident. The EAT agreed with Carreras, meaning employers should be mindful of any pressure placed on workers to work late, particularly where this may place some workers at a disadvantage, when compared to others. If you have any questions about the above or any other employment law matter, Ask a lawyer.